Retired Lyndhurst couple John and Marion Greenwood have announced they will fund an annual university tuition fees Bursary for a Brockenhurst College student who has excelled in STEM subjects and faces financial hardship. The Bursary aims to ensure that a talented and hardworking Brock student from each future academic year benefits from a university education they may not receive otherwise. Successful students will have selected a three-year BA or BSc degree programme in science, technology, engineering and maths-related subjects, known collectively as STEM. In addition, eligible students must be studying sixth form STEM subjects and show they face financial hardship before they may be chosen to receive the award by a Bursary selection panel. If their application is successful, they will have their whole undergraduate university tuition fees paid for them. STEM subjects and advancement through education are particularly close to the Greenwoods’ hearts. John worked in the engineering, chemical and textile industries during his productive and highly-successful career. Meanwhile, Marion worked with children in schools and became increasingly concerned that many promising youngsters were unable to fulfil their potential due to financial constraints. The Greenwoods were inspired to launch their Bursary initiative after reading a story about the Brockenhurst College STEM Awards in the New Milton Advertiser and Lymington Times. On a recent visit to the College, John said: “We’re in the privileged position of being able to help young people realise their potential by gaining a university education, so why wouldn’t we want to make that difference? “Financial pressures on students are greater than ever these days, and the idea a future industry leader could have their hopes dashed at such a young age because of money seems manifestly unjust. 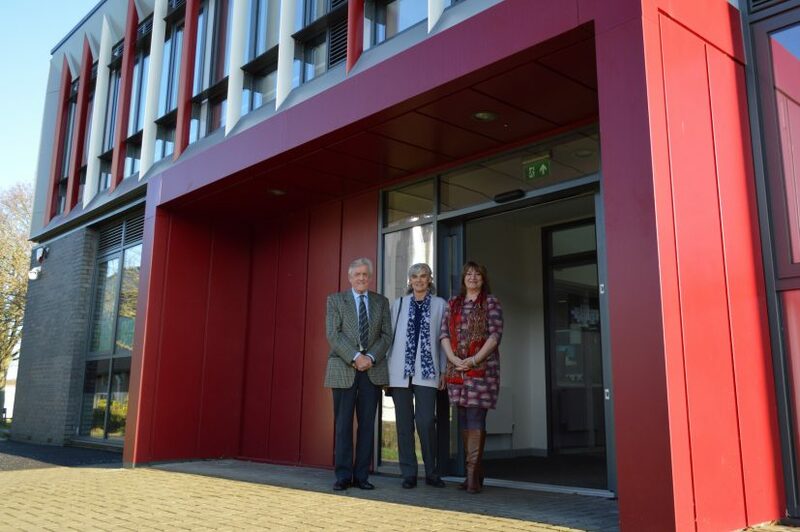 College Principal Di Roberts CBE said: “We are extremely grateful for the Greenwoods’ generosity and delighted they share our enthusiasm for quality learning opportunities. “The Greenwood Bursary will undoubtedly make a significant positive difference to the prospects of students aiming for a successful career in the STEM sector in the years ahead,” she added.